The Chinese are in for a treat as BMW presents them with another special edition model. As a market with huge potential, there&apos;s no surprise that a host of automakers have been encouraged to introduce to China&apos;s domestic market special edition models; and BMW have been quick to take advantage of this trend with past special editions including the M3 Tiger Edition and the M3 Matte. 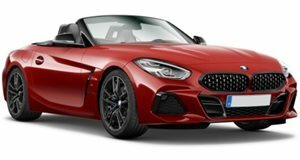 Their latest model, based on the BMW Z4 hardtop roadster, has a unique mustard-yellow finish that accents the interior on the dash, central panels, and in the stitching of the Alcantara & leather seats. Powered by a 2.5-liter straight six engine, it generates a total of 204hp and accelerates from 0 to 62mph in 7.3 seconds. The Flame Edition is yet another BMW special edition model that Chinese buyers are sure to lap up, ensuring a constant stream of even more luxury vehicles will make their way to this Asian economic powerhouse.